After 18 years of dedicated service, Kathy McKinlay, President and CEO of the Ottawa Network for Education, has decided to retire from ONFE at the end of December 2018. Kathy joined OCRI (now Invest Ottawa) in October 2000 as Director of TalentWorks, a workforce development initiative. 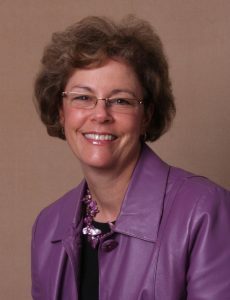 She then served as Executive Director of Education at OCRI from 2004 to 2010. When OCRI divested its education programs in 2011, Kathy re-established a charitable entity under a new name — the Ottawa Network for Education. Through her leadership and ability to engage a growing network of volunteers, partners, and donors, ONFE’s gross annual revenue grew from $2.6 million in 2012 to $4 million in 2018. She led the steady expansion of outreach to Ottawa students through a team of talented staff, dedicated volunteers, amazing partners, committed donors, and high-calibre board members. Seventy-six percent of K-12 schools in Ottawa now have one or more ONFE programs, equating to over 90,000 interventions each year that help K-12 students in Ottawa succeed. One of ONFE’s critical roles is to act as a catalyst for discussion and collaborative action around local education issues. Under Kathy’s leadership, Ottawa celebrated the extraordinary contributions of over 600 educators from kindergarten to PhD through the Capital Educators’ Awards and EduGala, unique events organized in collaboration with the 10 public education institutions in the city. In addition to significantly expanding the Ottawa School Breakfast Program, Ottawa Volunteers in Education, JA, and OttawaReads programs during her tenure, Kathy and her team developed 12 new initiatives to meet emerging education-related needs in the community, including Employer Connections, the Substance Abuse and Youth in Schools Coalition, and Classroom Gardens. Kathy’s passion for innovation and community engagement in education is evident in everything she does. We’re grateful to have had her as our leader for 18 years, and wish her all the best in her next phase of life, spending more time with her family and friends, travelling, and pursuing other volunteer and work interests. Kathy will be leading us through the transition to a new CEO, with a hiring process over the next few months. For more information on applying for the position, visit our Employment Opportunities page. Applications are due on June 30th.